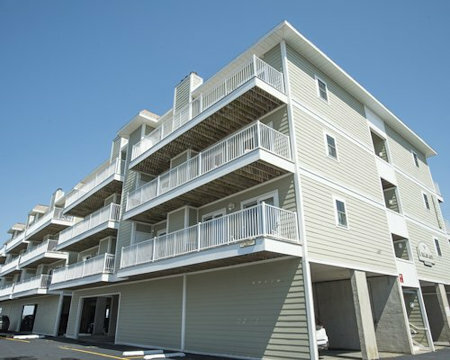 The Lucayan in Ocean City, Maryland - Buy a 7 Night Stay in a 2 Bedroom Suite! The Lucayan is located on Ocean City's Assawoman Bay. The avid angler will enjoy great deep-sea fishing. The Atlantic coast is only two blocks from the resort, placing an endless array of water sports within easy reach. 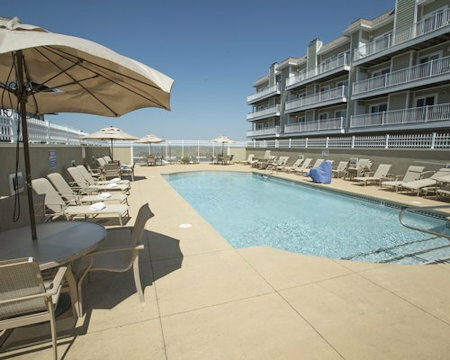 As a guest of the resort, you'll have a membership at the Ocean City Health CLub, offering an indorr pool, sauna, racquetball courts, and a full line of exercise equipment. The three-mile-long Boardwalk is lined with shops, arcades, and galleries. Enjoy fresh seafood, crab feasts, prime rib, or sample the simple fare of baordwalk fries, caramel corn, and shaved ice. Frontier Town, four miles south, re-creates the Old West through staged holdups, street fights, and cancan shows. 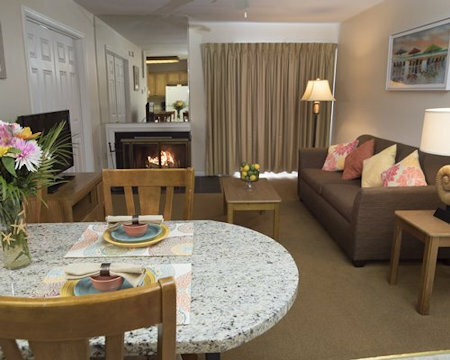 Your two bedroom condo features a full kitchen, dining room, fireplace, washer/dryer, and private balcony. The two bedroom unit has a King sized bed in the master bedroom along with a Queen bed in the second bedroom and a sleeper sofa in the living area. Your suite is approximately 900 square feet and has a maximum occupancy of six. Every unit at the Lucayan Resort offers its own distinctive island inspired furnishings and the multi-level floor plans offer privacy when you want it.